When I discovered that I was going to be visiting Scotland in the fall of 2013, I couldn’t bypass the opportunity to visit the seat of the Clan Campbell. Campbell isn’t my maiden name, but it was the maiden name of my ancestor, Elizabeth Campbell born about 1802 who married in about 1820, probably in Claiborne County, TN, to Lazarus Dodson, born about 1795. Elizabeth’s father was John Campbell, born 1772-1775 in Virginia and her mother was Jane “Jenny” Dobkins. John’s brother is believed to be George Campbell, born around 1770-1771. We are fairly certain that their father was one Charles Campbell who died before May 31, 1825 in Hawkins County, Tennessee when a survey for his neighbor mentions the heirs of Charles Campbell. Charles Campbell was in Hawkins County by about 1788. A Charles Campbell was mentioned in Sullivan County, the predecessor of Hawkins, as early as 1783, but we don’t know if it’s the same man. The history of Charles Campbell’s Hawkins County land begins in 1783 when it was originally granted to Edmond Holt. 1783, Oct 25, 440 (pg 64 Tn Land Entries John Armstrong’s office) – Edmond Holt enters 300 ac on the South side of Holston river near the west end of Bays Mountain, includes a large spring near the mountain and runs about, includes Holt’s improvement at an Indian old War Ford, warrant issued June 7, 1784, grant to Mark Mitchell. 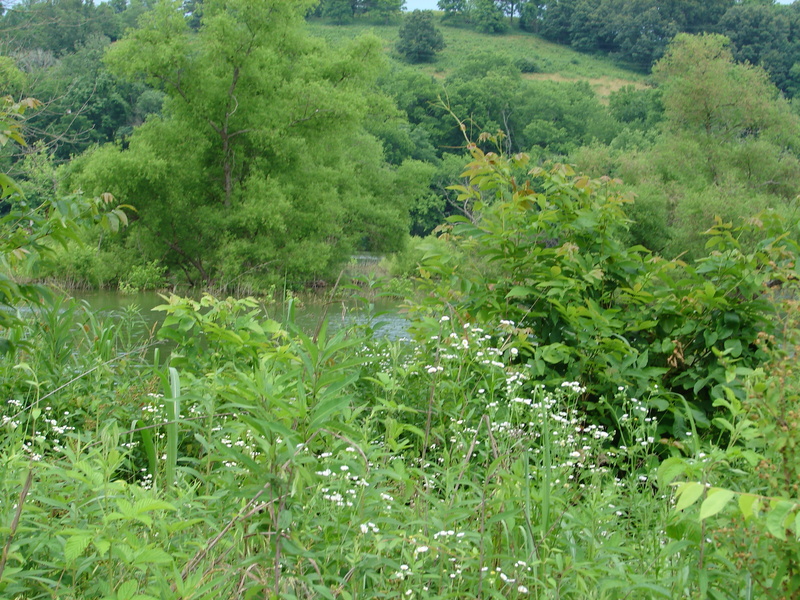 This photo shows the area of Dodson’s creek from across the Holston River atop a high hill. Dodson’s Creek, today, is located beside the TVA power plant. In this photo, Dodson’s Creek would be just slightly to the right of the power plant in the distance. You can’t see the Holston River in this photo, but it is just in front of the power plant. This is a good representation of the rolling mountains of this region. I stayed in this house for nearly a week while doing research in Hawkins County before realizing that the land I was looking at, daily, out the back door, off of the porch swing, was the land of both my Campbell and Dodson ancestors. Talk about a jolting moment. 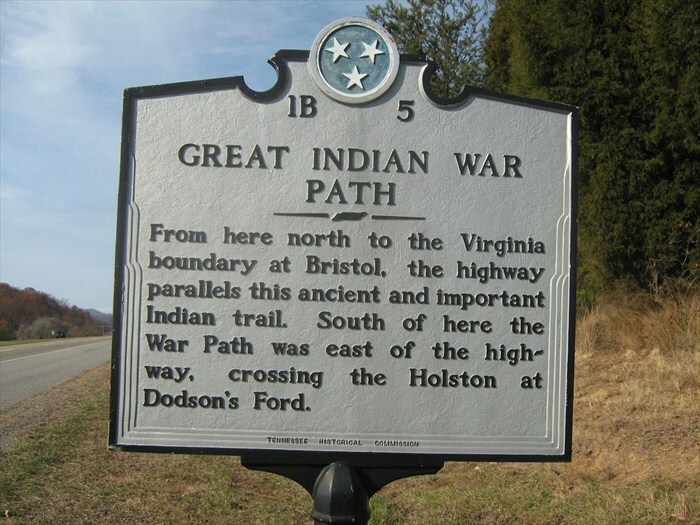 The Old War Ford is the crossing of the Holston River at the mouth of Dodson Creek where the Indians used to camp and cross, on the Great Warrior Path. My cousin helped me locate the Great Warrior Path crossing and I took the photos below during a visit to locate the Dodson and Campbell lands. 1790, May 26 – Mark Mitchell to Charles Campbell 100# Virginia money, Dodson’s Ck, Beginning at a synns on the nw side Bays mountain thence on Stokely Donelson’s, north 60 then west 218 poles to a small black and post oak on a flat Hill then south 30 west 219 to two white oaks in a flat, then s 60 east 218 poles to a stake then north 30 east 219 poles along Bays Mountain to the beginning containing 300 acres. Signed, wit John (I) Owen mark, William Wallen, George Campbell mark (kind of funny P), R. Mitchell (it appears that this transaction actually took place in 1788, but wasn’t registered until later.) south side of the Holston on the west fork of Dodson Creek. 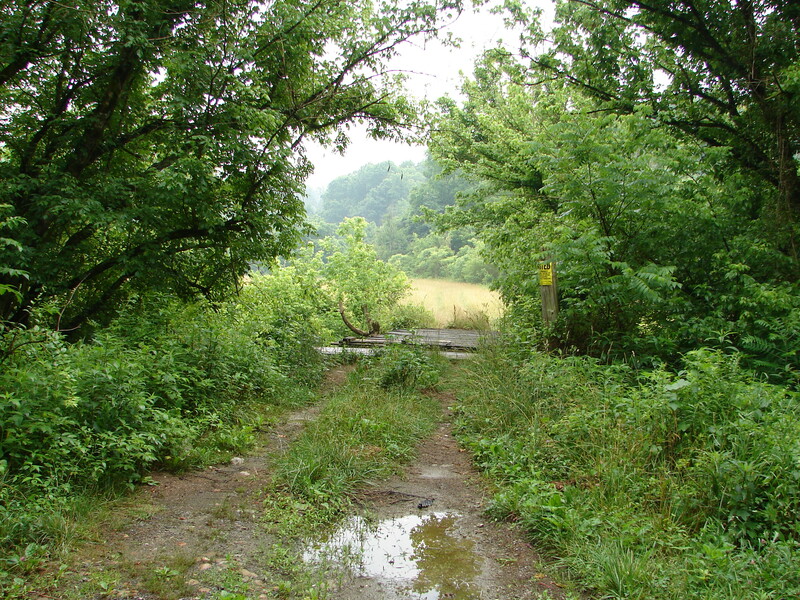 Today, the road that originally led to the ford of the Holston River dead ends into a road and the part of the road that was the “ford” is gone. 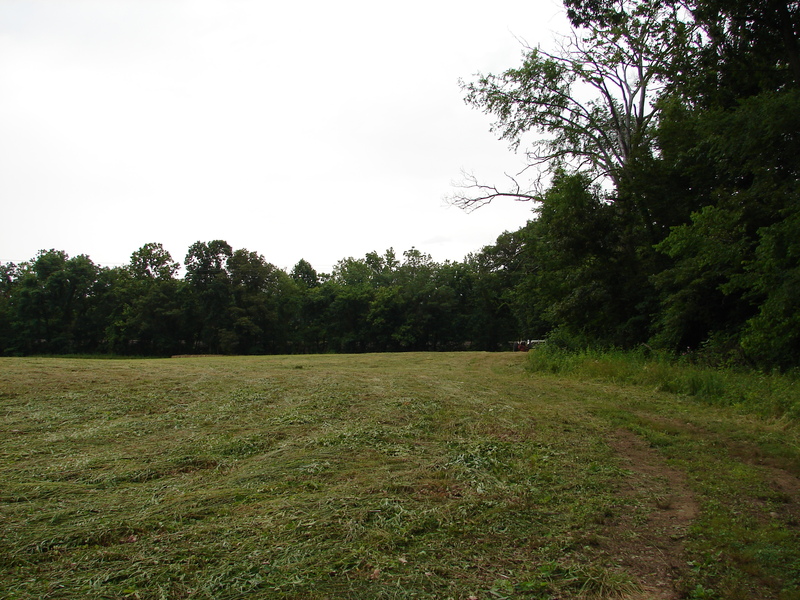 A field exists in its place, and a historical marker, and that’s it. Not even any memories as the ford was no longer needed when bridges were built, and by now, there have already been several generations of bridges. Here’s the field. The trees grow along the river and help to control erosion from flooding today. Walking up to the area, you can see the actual ford area, although there is nothing to give away the fact that this used to be a ford of the river. The locals say there is bedrock here. This area is flood plain, so one would not live here. The old cemetery where we believe Raleigh Dodson is buried is across the current road and up the hill. The land where we think Charles Campbell lived is just up Dodson Creek from this area as well, but on somewhat higher ground. I believe this is or is very near the current day location of the Charles Campbell land. Dodson Creek runs adjacent the road, and you have to cross the creek to get to the farmable land from the road. You can see the makeshift bridge above. Dodson Creek is beautiful and lush. 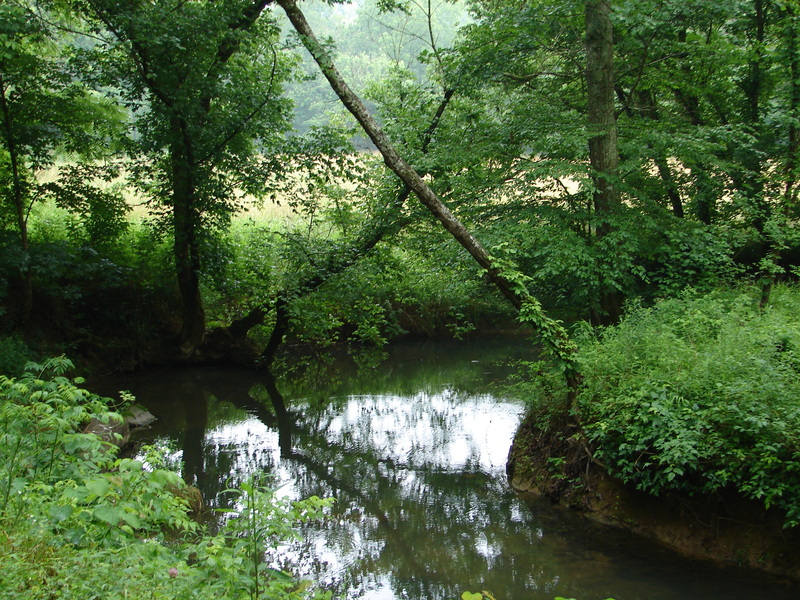 1793/1794 – Charles Campbell to George and John Campbell, all of Hawkins County, for 45#, 150 acres on the south side of the Holston, west fork of Dodson Ck beginning at 2 white oaks then (metes and bounds), signed, John Payne witness. 1802, Feb 26 – George Campbell and John Campbell of Hawkins County to Daniel Leyster (Leepter?, Seyster, Septer) of same, 225# tract on west fork of Dodson’s Creek being same place where said John Campbell now lives, 149 acres, then (metes and bounds) description. Both sign, Witness, Charles Campbell, Michael Roark and William Paine. Proven in May session 1802 by oath of Michael Roark (inferring that the sellers are gone from the area). Is the difference between 149 and 150 acres a cemetery, a church or a school? 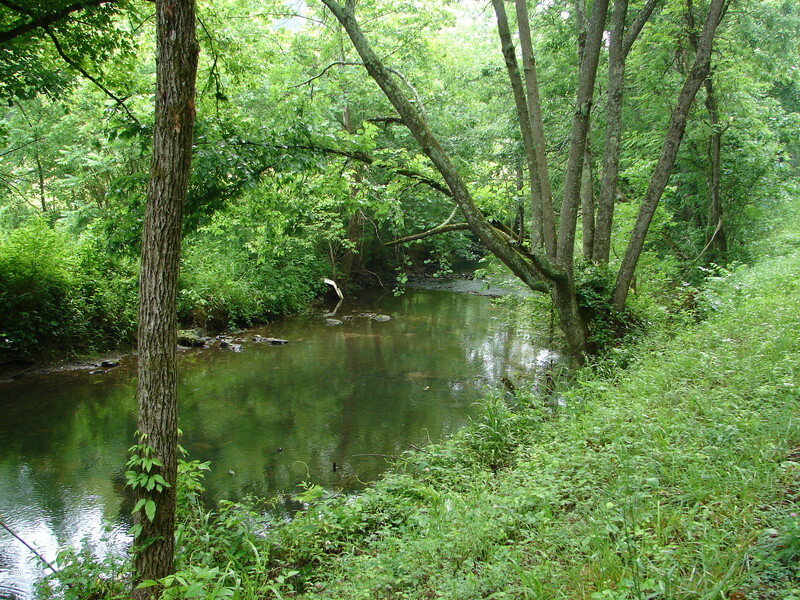 Dodson Creek is where Charles Campbell lived. This is the Dodson family who John Campbell’s daughter, Elizabeth, would marry into a generation later in Claiborne County. Dodson Creek was also just a few miles from Jacob Dobkins’ home, whose daughter’s George and John Campbell would marry. Jacob Dobkins, George and John Campbell and their Dobkins wives would be in Claiborne County, Tennessee by 1802. We believe Charles Campbell came from the Augusta or Rockingham County area of Virginia, but we don’t know for sure. Unfortunately the deed where his heirs conveyed his land is recorded in the court record, but never in the deed book, so we have no idea who his heirs were. The will of his neighbor, Michael Roark, who was born in Bucks County, PA and then lived in Rockingham Co., VA stated that he bought the land of Charles Campbell from his heirs joining the tract “I live on.” Charles’ other neighbor was a Grigsby, and so was Michael Roark’s wife. It’s not unlikely that Charles Campbell was related to one or both of these men. Michael Roark’s will dates August 25, 1834 and proven on February 4, 1839 says, among other things, that he leaves to grandson James Rork, son of John, tract of land that I now live on after wife and I die, son John 4 shares of tract of land that I bought of the heirs of Charles Campbell joining the tract I live on and containing about 150 acres. Unfortunately, the deed between the Campbell heirs and Michael Roark was never registered. In a deed from Michael Roark to Neil and Simpson with John Scruggs as their trustee, registered July 17, 1835, where Michael Roark had in essence mortgaged his land in November of 1830 and by 1835 was unable to pay his debt. The verbiage says in part that Michael not only conveys his land, which is described, but he adds “and also the interest I have in the shares of the 4 legatees of Charles Campbell, decd, to a tract of land lying on Dodson’s Creek.” He does not say that his wife is a daughter of Charles Campbell, but it’s certainly possible. He described one of the two tracts of Roark land he is conveying as having been conveyed to him by James Roark in 1811. This 1835 entry tells us that Charles Campbell’s land apparently had not yet been sold and that there were at least 4 legatees. Years ago, in a book in the library in Hawkins County, I stumbled across this photo of a picture of the cabin of Michael Roark. You know that Charles Campbell’s cabin didn’t look much different. A quite elderly descendant of Michael, Libby Roark Schmalzreid, claimed that her grandfather built his house on this land, and is buried on a hill just above the home he built. She was in her 90s more than half a decade ago, and never said who her grandfather was. She did say on Rootsweb that the location is on Dodson Creek not far from Strahl. Given that Michael Roark and Charles Campbell were neighbors, if we find Michael’s cabin, we can also find Charles land. I mean his actual land, not just a general area. On the map below, Dodson Creek is shown by the arrows, and Strahl is marked as well. It’s about 2000 feet from Strahl to the red arrow below noting Dodson Creek. Dodson Creek and its branches wanders all over this neighborhood. So, if anyone knows who Libby’s grandfather was, where he built his house or where he is buried, please give me a shout. Perhaps the key to finding Charles Campbell back in Virginia is to find both Michael Roark and the Grigsby family as well. On the 1783 Shenandoah Co., VA, tax list, we find both Charles Campbell and Jacob Dobkins in Alexander Hite’s district. Jacob Dobkins is the father of Jane “Jenny” Dobkins who would eventually marry John Campbell and her sister, Elizabeth Dobkins who would marry George Campbell, believed to be the brother of John Campbell. Of course, there were also 2 Charles Campbells in Rockingham County, VA in 1782 and 1 in Fayette and one in Lincoln, both in 1787. Several years ago, we DNA tested both a male Campbell descendant of both John and George and confirmed that indeed, these line match each other as well as the Campbell clan line from Scotland and that the descendants of the lines of both men also match autosomally as cousins, further confirming that John and George were most likely brothers. This was good news, because even though we don’t know the exact names of Charles ancestors, thanks to DNA, we still know the history of those ancestors before they immigrated, probably in the early 1700 with the first waves of the Scotch-Irish. So, for me, the opportunity to visit the clan seat, and meet the current Duke of Argyll, the 26th chief of the Clan Campbell and the 12the Duke of Argyll, Torquhil Campbell, personally, was literally the chance of a lifetime. The Duke, Torquhil Campbell, is much different from other aristocracy. He lives at Inveraray Castle, the clan seat, but parts of the castle are open to the public. 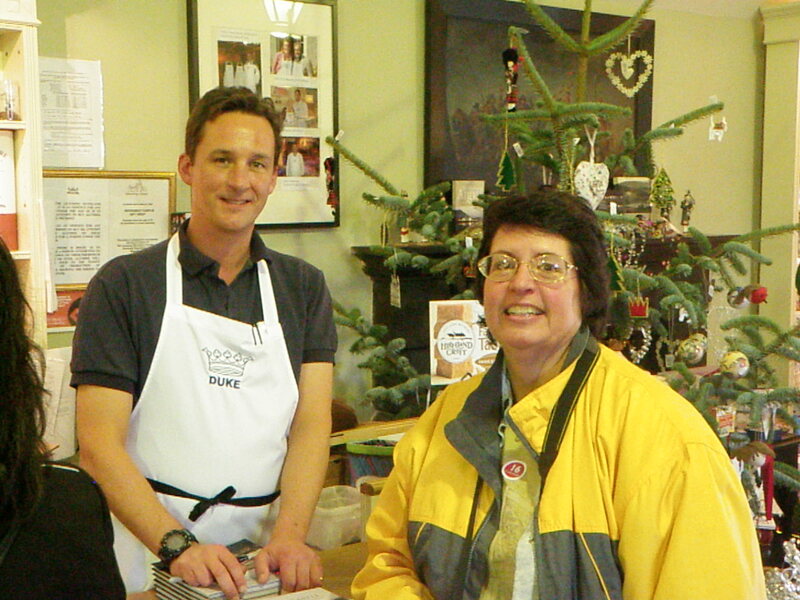 In addition, the castle is his actual full time residence and he actively manages the estate, including signing books about Inveraray in the gift shop in the castle. You can’t miss him if he’s there, as he has on an apron that says “Duke.” He’s a lot younger than I expected as well, born in 1968, but extremely gracious and welcoming. There must be tens of thousands of Campbell descendants and many probably make their way back to Inverary like the butterflies return to Mexico every winter. While I was visiting Inveraray, I purchased two books about the clan Campbell and a third, written by the Duke himself, about Inveraray. The Campbell clan origins are shrouded in myth and mists, as you might imagine, but let me share them with you anyway. “The first Campbells were a Scots family who crossed from Ireland to the land of the Picts. 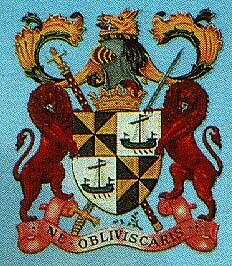 The Clan Campbell originated from the name O’Duibhne, one of whose chiefs in ancient times was known as Diarmid and the name Campbell was first used in the 1050s in the reign of Malcolm Canmore after a sporran-bearer or purse-bearer to the king previously called Paul O’Duihne was dubbed with his new surname. Historians after such obscure and legendary times, have agreed that the can name comes from the Gaelic ‘cam’ meaning crooked and ‘beul’ meaning the mouth, when it was the fashion to be surnamed from some unusual physical feature, in this case by the characteristic curved or crooked mouth of the family of what is certainly one of the oldest clan named in the Highlands. Loch Fyne is where the current castle of Inveraray, clan seat, is located and where I visited. The second source is a booklet called “Campbell, Your Clan Heritage,” by Alan McNie, which is condensed from a larger book, Highland Clans of Scotland by George –Eyre-Todd published in 1923. “Behind Torrisdale in Kintyre rises a mountain named Ben an Tuire, the “Hill of the Boar.” It takes its name from a famous event in Celtic legend. There, according to tradition, Diarmid O’Duibhne slew the fierce boar which had ravaged the district. Diarmid was of the time of the Ossianic heroes. This book then goes on to recite the “crooked mouth” story as well. “The Campbells, thought to be of British stock, from the Kingdom of Strathclyde, probably arrived in Argyll as part of a royal expedition in circa 1220. They settled on Lochaweside where they were placed in charge of the king’s land in the area. The Chief of Clan Campbell takes his Gaelic title of ‘MacCailein Mor’ from Colin Mor Campbell – ‘Colin the Great’ – who was killed in a quarrel with the MacDougalls of Lorne in 1296. His son was Sir Neil Campbell, boon companion and brother-in-law to King Robert the Bruce, whose son, Sir Colin was rewarded in 1315 by the grant of the lands of Lochawe and Ardscotnish of which he now became Lord. 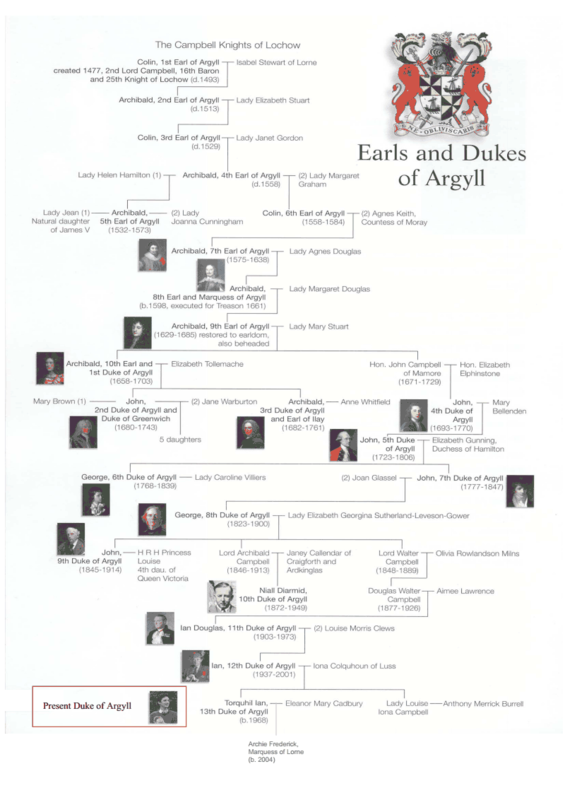 From the Campbell DNA Project website, we find this pedigree chart of the Clan Campbell, beginning with the present Duke at the bottom. 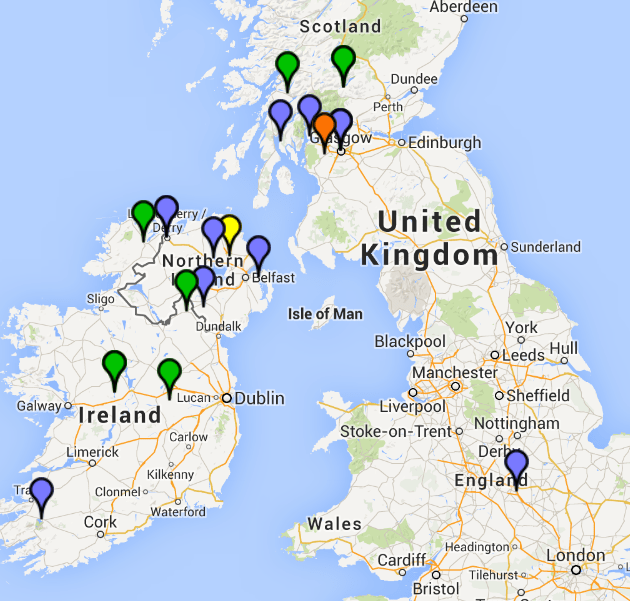 Let’s see if Y chromosome DNA results can tell us about the Campbell Clan history. Originally, the DNA testing told us that the Campbell men were R1b1. The predicted haplogroup was R1b1a2, now known as R-M269, but some of the Campbell men who have tested further are haplogroup R1b1a2a1b4, or R-L21. Looking at my cousin’s matches map at 37 markers, below, the Campbell men cluster heavily around the Loch Lomond/Greenock region which is very close to the traditional Campbell seat of Inverary. 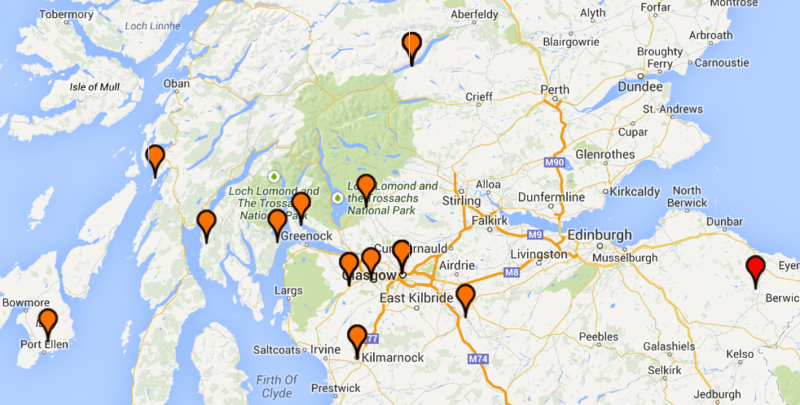 At 12 markers, the cluster near Greenock, slightly northwest of Glasgow, is quite pronounced. Most of these matches are Campbell surnames. Another item of interest is that several men in this cluster have tested for SNP L1335. This is the SNP that Jim Wilson announced is an indicator of Pictish heritage, although it is widely thought that this was a marketing move with little solid data behind it. Otherwise, Jim Wilson, a geneticist, would surely be publishing academically, not via press announcements from a company that has previously damaged their own credibility, several times. Regardless, our Campbell group tested positive for this SNP. I contacted Kevin Campbell, the Campbell DNA project administrator, who is equally as cautious about the Pictish label, but we both agree that this marker indicates ancient, “indigenous Scots,” and yes, they could be Picts. Time will tell! In the next few days, I’ll be writing about my visit to Inverary. I hope you’ll join me! This entry was posted in Autosomal, Haplogroups, SNP (Single Nucleotide Polymorphism), Y DNA and tagged 52 Weeks of Ancestors, Examples by Roberta Estes. Bookmark the permalink. My 5th gr-gf Colby Rucker had a son William Rucker who married Ruth Dodson in Grainger County, Tennessee in 1815. I wonder if she was a part of your Dodson Creek family. My grandmother was descended from two of Colby Rucker’s daughters, so I would not have a connection there. 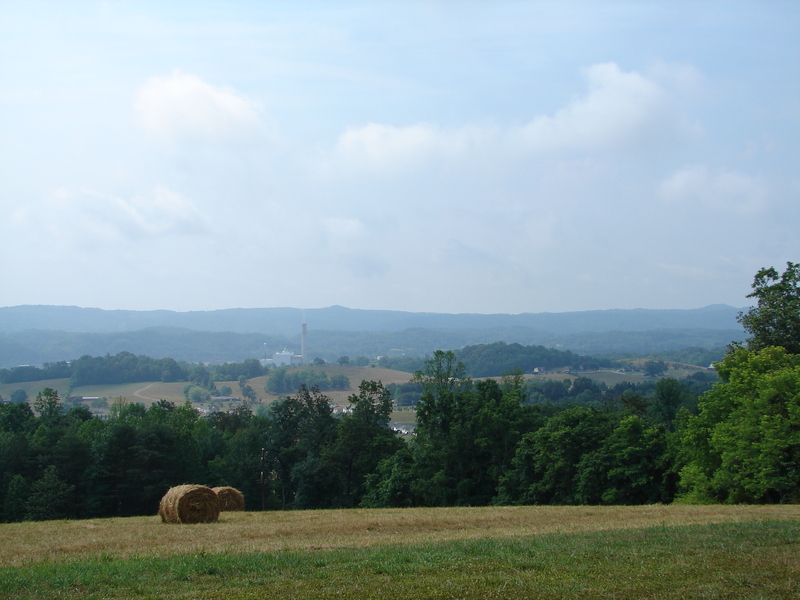 However, I thoroughly enjoyed the pictures of the area in Tennessee where my ancestors lived. Roberta, THANKS a million for sharing this! I am a Campbell descendant and very much envy your trip! I really appreciate your sharing and your wonderful “story telling” abilities. If one of my great grandmothers Mary Emma Campbell 1860-1930 from Shelbyville Tennessee was descend from the Virginia “Campbell” I could be related to the Campbell’s of Scotland? Thanks Roberta. I distantly match several Campbells at 67-6 as do others in my Ro(d)gers Y-DNA Group. I recently tested positive for S744 (Big Y) , downstream of L1335 and L1065. We are trying to figure out how our Ro(d)gers migrated from Scotland to England and on to Jamestown, VA in 1635. All the many Scots surnames must come together way back before surnames were in common use in Scotland. We’re all enjoying your genealogical travels with text and pictures. Many are called, few are Pict. Thank you for the article on the Campbells. I especially enjoyed it because I have ancestors from Hawkins and Sullivan Counties who are Scottish descent….surnames, Crawford and Cash. Some years later they were allowed back home where they Anglicized their names. Beau Champs became “Beachams” and Campo Bellos became Campbells. Now the Fairfields, the Beau Champs, the Campo Bellos, the Beachams, and the Campbells are all related. Hmmm. I wonder if that story is true? Roberta, you are a very generous person to share all the information that you do! How we all appreciate it and envy your travels to our distant lands….wish we could be packed into your suitcase and make the trips with you!